Please take note of this message. To all members of the WBLuv International Forum, I believe you will have received an e-mail from the admins. Apparently, there is a huge number of people out there who have been using other people’s work (manips, icons, etc.) without crediting the maker himself. Or worse, passing off other’s work as their own. There are also a number of people who have been editing and changing someone else’s work without the consent of the maker first. Please, please remember to credit appropriately and ask for permission first before you decide to edit someone else’s work. If you don’t know where to find the artist, and decide to go ahead with editing, please do CREDIT the artist himself. That’s the very least you should do. Leave a comment on ‘WONDERBANG EXIST’ page on Facebook. Hello WonderfulVIPs and WonderBang-ers and FamBam! How was your 5th WonderBang anniversary? Well yes, this year, we did not have anything planned and NO! that does not mean we gave up on WonderBang! No~~ That will never happen! Anyways, did you guys know we have a tumblr site? Well, we’ve had one for a pretty long time but I’ve been too busy to let you all know. So, I’m revealing it now (as part of WB‘s 5th Anniversary! LOL)! Yes, yes, for all those who have a tumblr account, do follow us on our official Tumblr! 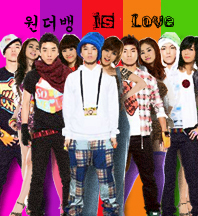 You can find all sorts of related WonderBang materials over at our page! And you can also submit any WonderBang materials for us to post! 🙂 Click HERE to go to our site! 원더뱅 is LOVEd, WBLuv International, and WonderBang Exist on FB are hosting for the whole month of February this Say Be Mines: Secret V-Day Event. For more information Save the poster above to your computer and zoom in for the details…Who’s gonna be your Valentine this year? 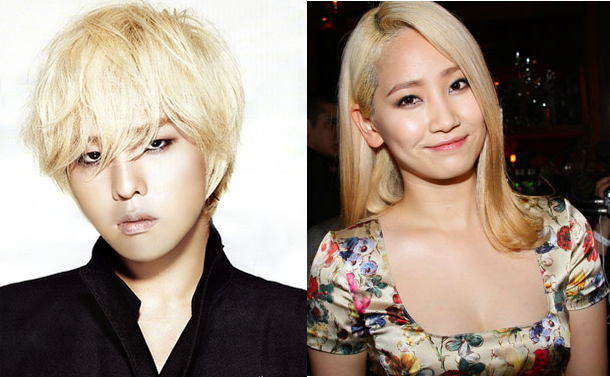 Congratulations to Ye Eun and G-Dragon! This is dedicated to my favorite groups: BIGBANG & WonderGirls, plus: the WonderBang community and the sites who keep it alive. JYP wants Tae Yang & YG wants Sun Ye! 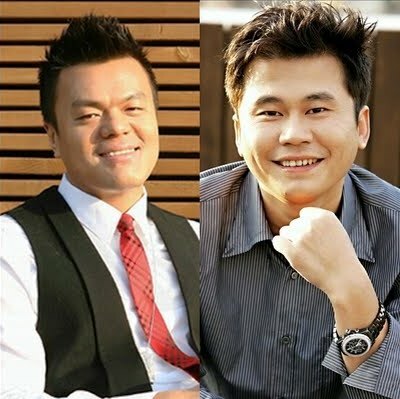 On September 2nd, YG Entertainment‘s Yang Hyun Suk and JYP Entertainment‘s J.Y. Park came together at the Imperial Palace Hotel to attend the press conference for SBS’s ‘Survival Audition K-Pop Star‘! As two of three judges on the show, both men discussed their judging styles as well as what they’ll be looking for in their future talents. ‘Survival Audition K-Pop Star’ will begin broadcasting this December. GD is known to be close to Yoobin of WG and Nicole of Kara. How Did “K-Pop Star” Recruit JYP and Yang Hyun Suk as Judges? Currently, the upcoming show “K-Pop Star” is gaining a lot of attention for having recruited JYP and Yang Hyun Suk of YG as judges for the survival show. The PD of the show Park Sung Hoon divulged how he was able to recruit them. “K-Pop Star” is a program that has now combined the forces of SM, YG, and JYP. Everyone is curious as to who will join the show as a judge from SM Entertainment. Currently Park Sung Hoon PD revealed that they are talking with SM, but for who will appear, nothing is set in stone. K-Pop Star Official Site (English) with information on how to apply. The world of music audition programs just got a whole lot more interesting, as it’s been confirmed that Yang Hyun Suk and J.Y. Park will be appearing as guest judges on SBS’s ‘Survival Audition K-Pop Star‘. It will be the first time that such representative and influential figures in the Korean music industry will be making a joint appearance like this. These two can easily be referred to as ‘Hallyu makers’, standing together at the center of the K-Pop wave. It seems they’ve agreed to judge the auditions in order to find talent capable of shocking the world. The show plans to center around YG, JYP and SM Entertainment’s search to find and create the next generation of K-pop stars. The winner of the competition will win an impressive monetary prize, record an album to be released worldwide, and receive CF modeling contracts as well as cars.